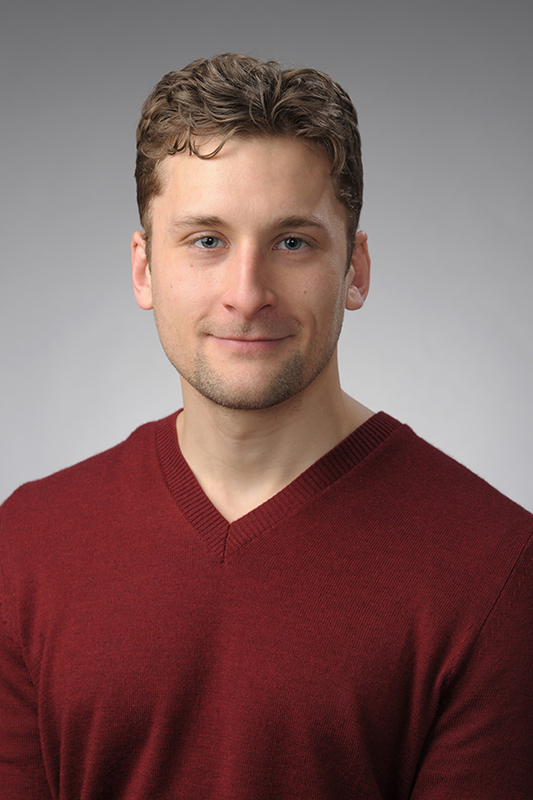 Bryce Hruska is an assistant professor in the Falk College Department of Public Health where he has served as a research assistant professor, postdoctoral researcher, and project manager for the public health program. He was previously a postdoctoral fellow at the Vermont Center on Behavior and Health. He has most recently published in the Journal of Substance Abuse Treatment, Headache: The Journal of Head and Face Pain, as well as Environmental Research, Psychology of Addictive Behaviors, and Social Science and Medicine, among others. He has published book chapters in the Handbook of Cardiovascular Behavioral Medicine and in Trauma and Substance Abuse: Causes, Consequences, and Treatment of Comorbid Disorders, Second Edition. Hruska has presented his research at conferences including the International Society for Traumatic Stress Studies, the American Psychosomatic Society, and the College on Problems of Drug Dependence. He has made multiple media appearances promoting the research that he and his collaborators are performing, and he serves as an invited reviewer for a number of peer-reviewed journals including the Journal of Traumatic Stress, Journal of Anxiety Disorders, Stress and Health, Addictive Behaviors, and Journal of Psychoactive Drugs. Hruska earned an M.A. and Ph.D. in experimental psychology, with concentrations in health psychology and quantitative methods, both from Kent State University. He earned a bachelor’s degree in psychology from the University of Akron. Traumatic events, post-traumatic stress disorder (PTSD), stress and health, occupational stress, recovery experiences, quantitative methods.